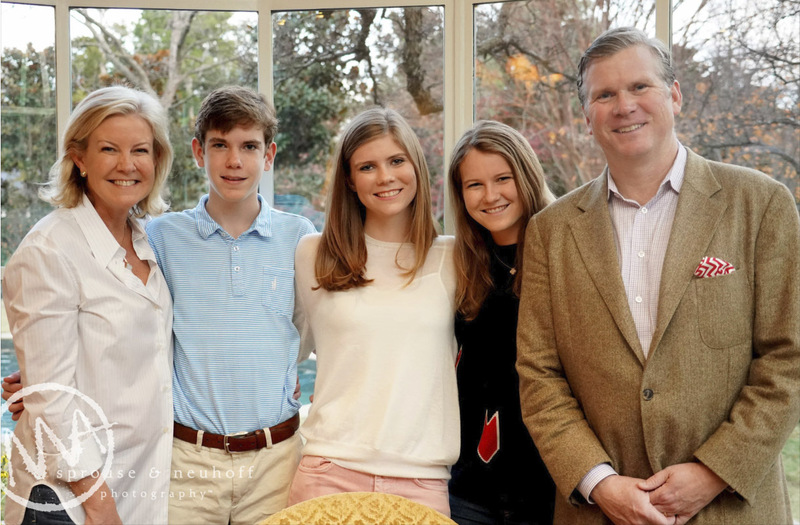 The Episcopal School of Dallas proudly announces a lead gift from current parents Ann and Lee Hobson in support of The Campaign – Together, We Will. The Hobson Family gift provides significant support for each of the Campaign's objectives – uniting our campus, building the School's endowment, and sustaining ESD's excellence through the Annual Fund. The Hobsons, who pledged their support very early in the campaign, match six others with the largest single gift from a family to The Episcopal School of Dallas. Their contributions to all of the campaign components emphatically signify their support of ESD's impact, now and for generations to come, on individual students and the community as a whole. In addition to their financial support, the Hobsons have served ESD in many voluntary capacities, including Ann Hobson's most recent service to ESD's Board of Directors and Lee's service as a trustee on the ESD Endowment Trust. To celebrate the Hobson gift and their unwavering commitment, the Board of Directors supports formally naming ESD's Head of School position as the "Ann and Lee Hobson Family Head of School" in their honor. "We are enormously grateful for the Hobsons' universal support of ESD," Meredyth Cole, Head of School said. "In deciding to honor the Hobsons' gift with this naming opportunity, the Board took into consideration their longtime support of ESD as well as their support of other important Episcopalian institutions and partners to ESD, both locally and nationally. The Hobsons' core values align with our Founding Tenets and the Hallmarks of an ESD Education." The Hobsons commented, "We are greatly honored by the Board's designation of the Head of School naming in recognition of our support of ESD. We are proud of the impact the School has had on us and on our children, and we look forward to the School's impact, and its leaders' impact, on generations of families and children to come." The Campaign for The Episcopal School of Dallas was publicly announced on September 22, 2017. It has three priorities: increasing the endowment for greater sustainability, uniting the community on one campus by building a new Lower School, and affirming today's educational experience through the Annual Fund. Over $54,000,000 has been raised to date. ESD hopes to begin construction on the Lower School in May 2018 so that the doors may open for the 2019-20 school year. Groundbreaking is pending the final leg of fundraising. To date, $33,116,000 of the required $36,500,000 has been pledged, leaving just under $3.5 million to raise. Learn more about the campaign at www.ESDTogetherWeWill.com.